The Committee of 100 focuses on long-term strategies that impact economic development. The founding members established the organization with a laser focus on economic development, and many of the Committee of 100’s major accomplishments are a testament to this focus. More than half of our city governments’ tax base is supported by local sales taxes, making it critical that the Huntsville area maintain and grow its position as the regional retail center for North Alabama. 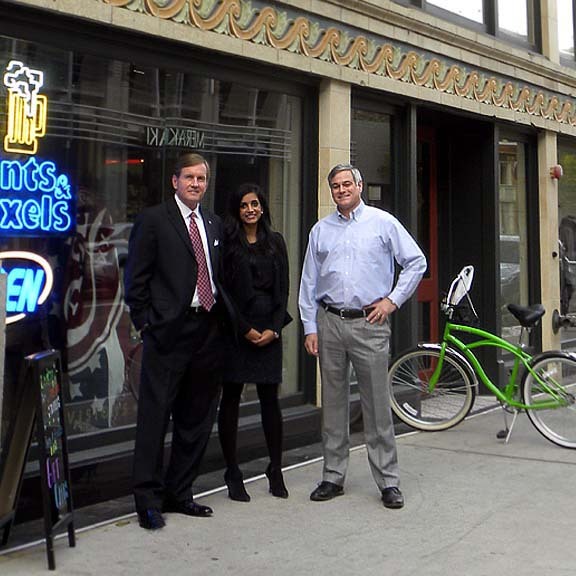 To compete, our community must develop incentives to stimulate retail development. The eight Tax Increment Financing (TIF) plans in the City of Huntsville enacted in the past few years are excellent examples. Strategic planning for retail growth and national marketing initiatives should also be expanded. While the Committee of 100 works on economic development issues throughout Huntsville, Madison, Madison County, and the incorporated areas of Limestone County, our members believe that healthy economic regions include a vibrant and active downtown. The Committee of 100 worked for four years to form and get non-profit IRS status for Big Spring Partners, a privately funded organization to stimulate downtown development. It was modeled after a successful organization in Chattanooga and launched in October 2004. The Committee of 100 also played a major role in forming Downtown Huntsville, Inc. in 2012 as a private, membership organization focused on economic growth and vitality and hire an experienced full-time CEO. The Committee of 100 continues to financially and politically support both organizations in their missions to bring new retail, residential, and commercial activity to stimulate the downtown economy and attract and retain the young professional workforce. The Committee of 100 also funded the first gateway to downtown Madison and continues to offer support to revitalization efforts. To replace the expected high number of retirees and fill the anticipated growth in new jobs, the Huntsville-Madison County community must strategically recruit and work to retain young professional workers. The Committee of 100 has worked and continues to help strengthen young professional networking organizations and helps stimulate new groups within large employers. The Committee is also encouraging elected leaders to invest more in downtown development and the development of public parks, hiking trails, the riverfront and greenways, and quality of life features that are especially attractive to young professionals. We are also working with other organizations to involve college students and young professionals in the community and provide additional co-op and intern opportunities. For more information, please review the Huntsville Talent Magnet Report Summary. 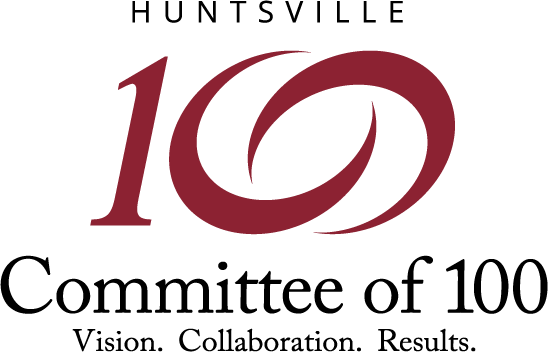 The Committee of 100 is partnered with the Chamber of Commerce of Huntsville-Madison County and The Arts Council on a research effort to evaluate the success of this plan and develop new strategies. The Committee of 100 works to encourage teamwork and cooperation among local governments, including the City of Huntsville, City of Madison and Madison County, believing we can accomplish greater success in economic development by working together. The Committee of 100 also works with other organizations and business leaders to encourage cooperative economic development efforts in the North Alabama region. The Committee of 100 has spearheaded a 20-year regional visioning effort — Launch 2035 — with area business leaders.